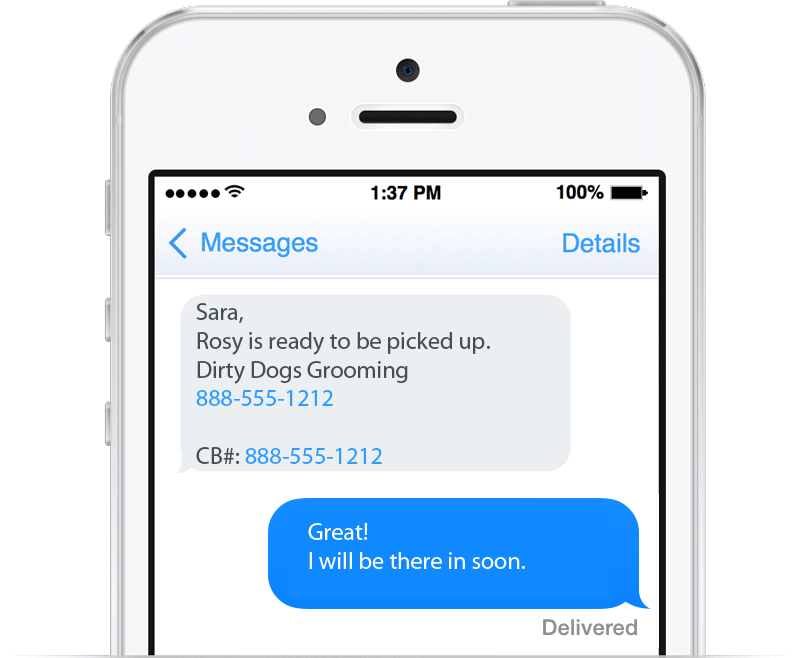 Groomsoft text messaging has some great features. 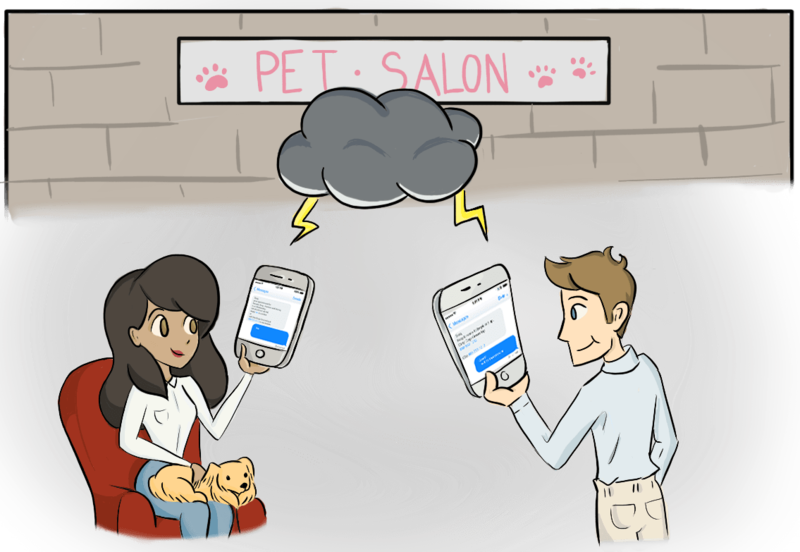 Groomsoft will send text message appointment reminders to all of your customers who have a cell phone listed in Groomsoft. You can turn this feature on/off for each individual customer under their profiles. There is also a global setting allowing you to turn on/off text message reminders for all of your customers. 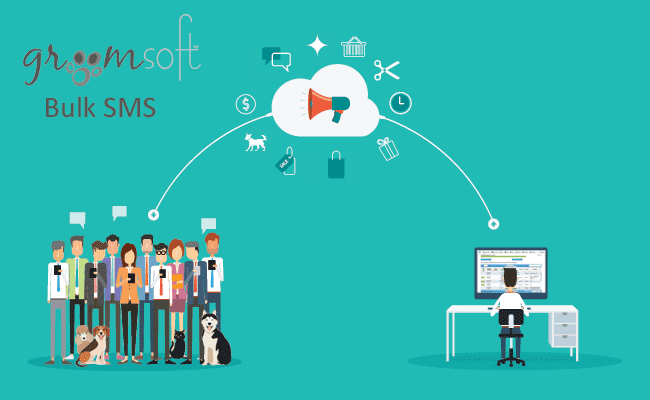 Your customers can simply reply Yes and Groomsoft will set the appointment status to "Confirmed via SMS"
Send free form text messages to your customers. 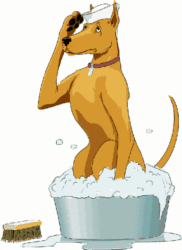 Don't bother looking for your cell phone to tell your customer that their pets groom is completed, send the message right from Groomsoft. 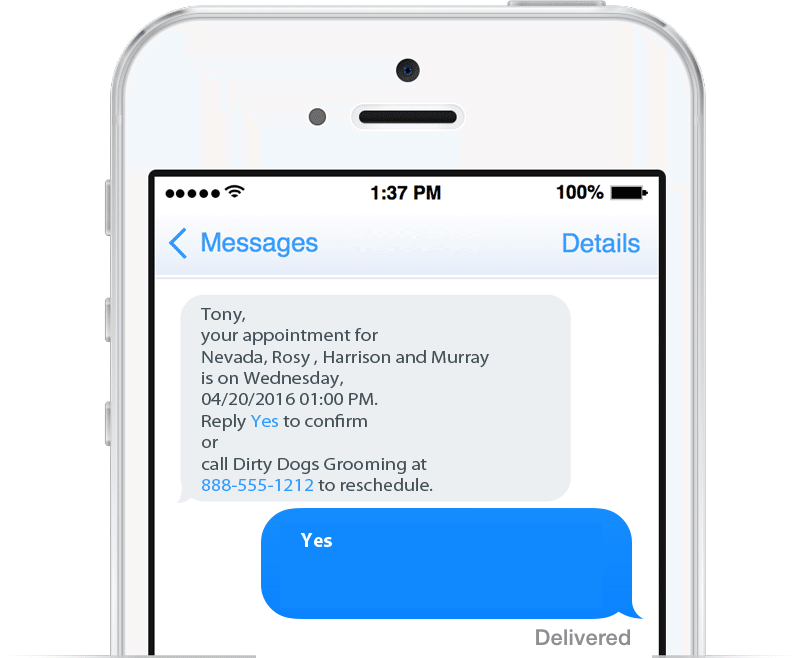 Send a text message from any of the Appointment calendar screens, the Appointment summary screen, the Customer detail view, Maps appointment list and the new SMS menu option. Unlike some of our competitors who offer so-called text messaging that makes you specify what carrier your customer's cell phone is on, all you need is your customer's cell phone number in Groomsoft. Do you know why they ask for your customer's carrier? Mostly all mobile network carriers allow you to send an email to a phone number with a special domain name, such as 8885551212@txt.att.net. That would send an email to the 888-555-1212 phone number on AT&T's network. Email is insecure and not always reliable! I never got that text message! When your customer says they didn't get that text message appointment reminder, (and you know that will happen sooner or later) you can view the delivery status of that text message. You can view the delivery status of every text message sent within Groomsoft, by simply viewing the message. SMS / Text Messaging is ONLY available to paid subscribers. All Paid subscribers get 100 FREE text messages automatically to test drive this great feature. SMS / Text Message pricing is viewable when you click the "Buy it" button below or from within Groomsoft by clicking on the SMS menu option. No credit card needed for the trial.